Country music is a long held and beloved American tradition with a rich history dating back to the 17th century. Its evolution is an intriguing delve into what makes American culture so unique. As the following sections show, each shift that Country music takes is a reflection of America as a whole: always changing and always enduring. Despite its often simple melodies and construction, the timeline of Country music shows it to be a fascinating amalgam of several genres. Beginning as far back as the 1620s, proto-Country folk music came to America. During this time indigenous peoples and newly immigrating peoples started to share folklore and musical traditions. With the dominance of European music, like opera, folk melodies began to die down in popularity. Soon, it only remained in rural areas. The advent of mass western relocation in the 1800s revitalized folk tradition by bringing folk-music-loving people together again. Oral histories combined with newer melodies, and new genres of music began to flourish. Blues, Bluegrass, Hillbilly, Cowboy – all variations coming from folk music roots. Finally, in 1927, Jimmie Rodgers and the Carter Family recorded their landmark albums. The “Bristol Sessions” – so called because they occurred in Bristol, Tennessee – are widely acclaimed to be the first true Country music albums. Far from the first ever heard, these recordings rather represent the most standardized Country songs to exist at that time. The Appalachian sound and rich guitar provided the basis for Country music. In fact, Bristol is considered “the birthplace of Country music” to this day. It is widely believed that Country music as a genre has undergone several generations of evolution. The first belonged to the Bristol Sessions, and humble fiddling with complex harmonies. This stage of Country focused on gospel and ballads with an emphasis on heritage. The next generation of Country music is epitomized in the foundation of the Grand Ole Opry. An aura of opulence during a time of distress – the Great Depression. As radio thrived, Country music spread to every corner of America. Westerns gained popularity in movie theaters and singing cowboys, like Roy Rogers, crooned onto the scene. Honky Tonk introduced the steel guitar and Mexican influence, and became its own subgenre along with Bluegrass. Beginning in the 1950s, Country music distanced itself from folksier tunes and moved towards what is now called Rockabilly. Integrating more Rhythm and Blues, Country music was dominated by artists like Johnny Cash and Elvis Presley. The Everly Brothers and Buddy Holly followed suit, and eventually this sound branched into modern Rock and Roll. The 1970s welcomed an explosion of subgenres. Country artists combined Rock and Roll, Pop, Disco, and Folk to make several successful spin-offs. Artists like Willie Nelson, The Eagles, and Dolly Parton took over the Country charts. This was a time for exploration and experimentation in Country music’s history. The 1990s began with a substantial audience increase, thanks to FM radio expansions that included spreading Country music even farther across the US. Artists like Garth Brooks and Lynyrd Skynyrd became popular, and leaned towards a more traditional Rock and Roll sound. Because of Rock and Roll’s heavier grunge and alternative feel in the 1990s, a large gap in melodic – but smoother – music arose. This iteration of Country music also saw many female artists reach phenomenal commercial success. Artists like Faith Hill, Shania Twain, and the Dixie Chicks took the world by force. Country music today is thriving. Leaning more towards Pop and Hip-Hop than Rock and Roll, it’s adopted a much more playful tone than ever in its history. Artists like Taylor Swift, Kenny Chesney, and Florida Georgia Line have spent record-breaking time on the Billboard Hot 100 list and are heralded for their popularity. 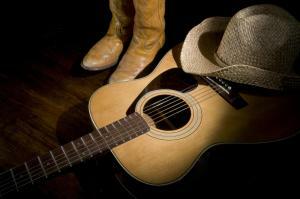 Celebrate the Country music tradition with us at AMT! Our Country music lineup is just right for die-hard fans or enthusiastic beginners. Reserve tickets for your favorite Country star today at the box office or online!